Cộng hòa Xã hội Chủ nghĩa Việt Nam, là một quốc gia nằm phía đông của bán đảo Đông Dương, thuộc khu vực Đông Nam Á. Lãnh thổ Việt Nam tiếp giáp với nước Trung Quốc ở phía bắc, nước Lào và nước Campuchia ở phía tây, vịnh Thái Lan ở phía tây nam và biển Đông ở phía đông và phía nam với hơn 4.000 hòn đảo, bãi đá ngầm lớn nhỏ, gần và xa bờ, có vùng nội thuỷ, lãnh hải, vùng đặc quyền kinh tế và thềm lục địa được Chính phủ Việt Nam xác định gần gấp ba lần diện tích đất liền (khoảng trên 1 triệu km2). The Socialist Republic of Vietnam is a nation in Southeast Asia. It borders the ► People's Republic of China with ► Guangxi to the north, ► Laos to the northwest and ► Cambodia to the southwest. To the country's east lies the East Vietnam Sea which China calls South China Sea, where there are over 4000 islands located including Vietnam's claims on the ► Paracel Islands and the ► Spratly Islands, that border ► Indonesia, ► Malaysia, ► Brunei and the ► Philippines. With a population of approximately 88 million, Vietnam is one of the most densely populated nations in Southeast Asia. Vietnam had its continental shelf estimated to be around triple size of its current land area. Other languages Français: Le Viêt Nam (République Socialiste du Viêt Nam) est un pays d'Asie du Sud-Est. Il se situe à l'extrême est de la péninsule indochinoise. Le pays occupe une superficie de 331 690 km² pour environ 85 millions d'habitants. Il est entouré de la Chine au nord ; du Laos et du Cambodge à l'ouest ; et de la mer de Chine méridionale à l'est et au sud. Deutsch: Vietnam (vietnamesisch Việt Nam, Bedeutung: Viet des Südens, amtlich Sozialistische Republik Vietnam, vietn. Cộng hòa Xã hội chủ nghĩa Việt Nam, Chữ Nôm 共和社會主義越南) ist ein langgestreckter Küstenstaat in Südostasien. Er grenzt an die VR China, Laos, Kambodscha, den Golf von Thailand und das Südchinesische Meer. More images Vietnam - Vietnam (Category). Map of Vietnam (in Vietnamese). Includes island claims. Map of Vietnam (in English). Includes island claims. Map of Vietnam from the CIA World Factbook. Map of Vietnam from the CIA World Factbook (translated to Vietnamese). Map of Vietnam's railway network. Map of Vietnam administrative divisions. Includes island claims. Map of the Regions of Vietnam. Districts of Vietnam. Includes island claims. 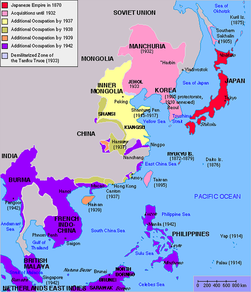 This section holds a short summary of the history of the area of present-day Vietnam, illustrated with maps, including historical maps of former countries and empires that included present-day Vietnam. North Vietnam ruled by Han Dynasty (206 BC-220 AD). North Vietnam ruled by the Three Kingdoms, 220-280. North Vietnam ruled by the Western Jin Dynasty (265-316). Vietnam under the Chinese Tang Dynasty, 608-907. Parts of Vietnam under control of Funan. Parts of Vietnam under control of the Khmer Empire. Kingdom of Champa's core territories. South East Asia circa 1100 showing the approximate areas of control for the Dai-Viet (Vietnam), Champa, and Khmer Empires. Southward expansion (Nam Tien) of the Dai Viet Empire. The Expansion of French Indochina. The drawing shows the French disposition at the Battle of Dien Bien Phu, as of March 1954. The French took up positions on a series of fortified hills (shown in green). The southermost, Isabelle, was dangerously isolated. The Viet Minh positioned their 5 divisions (the 304th, 308th, 312th, 316th, and 351st) in the surrounding areas to the north and east. From these areas, the Vietminh had a clear line of sight on the French fortifications and were able to accurately rain down artillery on the French positions. Locator map of North Vietnam. Map of North Vietnam, the Democratic Republic of Vietnam (Việt Nam Dân Chủ Cộng Hòa). Locator map of South Vietnam (Nam Việt Nam). Map of South Vietnam, the Republic of Vietnam (Việt Nam Cộng Hòa) in 1967. Map of the Tet Offensive. Animated map of the history of railway construction in Vietnam, 1881–1966. Map of the Sino–Vietnamese War (Third Indochina War), 1979. Early Western Map of Tonkin (1651). Tonking, Östl. Hinterindien, Hue, Ha-Noi (Meyers Konversationslexikon), 1888.